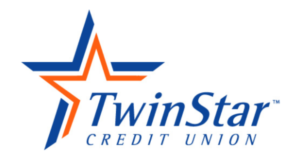 Last weekend in August, September, October and November the Tumwater Chamber members can participate at no cost. 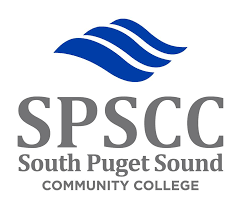 This great program is sponsored by the Port of Olympia for the past 2 years and we’re looking forward to continue in 2019. KGY Radio is hosting and providing the air time and supporting this program with their radio expertise. 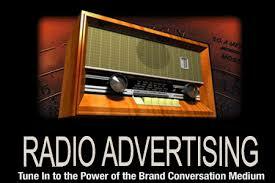 How much do we know about radio advertising? Small Business Weekend is radio advertising and the best part of it is FREE to our members – that’s how serious we at the Tumwater Chamber are about promoting business in our area. To better understand this valuable benefit to our members we invited Nick Kerry the GM of KGY/KAYO Radio to talk to us about this. 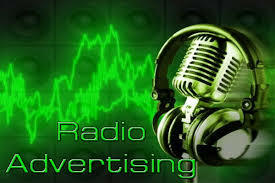 How can radio advertising help a business get more exposure to public/consumers? Radio gets results when you reach the right consumer, with the right message, at the right time. As a business owner, ask yourself: “Who’s my ideal customer?” Radio can help you reach that customer. Then (business owner) ask yourself: “What can I offer to entice my ideal customer to shop at my store/make an appointment for my service/do business with my company? What’s my competitive/comparative advantage? Use the A.I.D.A. formula – (Attention, Interest, Desire, Action) to craft your advertising message. 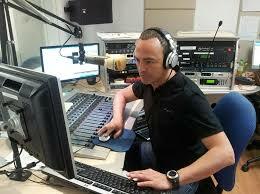 In radio we can use a variety of tactics to GET ATTENTION! …build interest (think story-telling), create demand/desire – “Your friends all go here…you’re missing out if you don’t…” And most importantly – educate your ideal consumer on the best way to TAKE ACTION! Examples: Search “Tumwater Chamber” online, Call phone # for a free estimate, Like (Your Company) on Facebook, Shop this weekend for 25% off everything in the store, Join us for Happy Hour (weekdays 3 -5pm) with $1.00 drink specials, etc. Frequency: Defined…How many times your message is exposed to ideal customer. Repetition in advertising is important. One TV commercial, one newspaper ad, one radio spot, one digital campaign isn’t going to magically create a stampede of customers in your store. You need frequency of your message, to break-thru the clutter and get noticed, to convince consumers of what you want them to believe (They should do business with you…instead of what they’re doing now), and to remind and reinforce in them what you want them to do. One radio ad isn’t “going to work” but 42 radio spots in 7 days (6 spots per/day Monday-Sunday), that’s a strategy for success. Are there any other local organizations offering free (radio) advertising to their members? The Tumwater Area Chamber of Commerce is leading the way among area Chamber/organizations, by offering members the opportunity to advertise collectively to promote all Tumwater businesses on focused Small Business Weekends. No other chamber offers as a FREE member benefit, inclusion in this 6 month promotion. Why should a business participate in Small Business Weekends program? Advertising, no matter the media, can be an expensive investment to make, and while many businesses would like to advertise in every way possible, it may not have the resources to do so. Thus, businesses must be selective when committing to advertising campaigns and media. Small Business Weekends in Tumwater provides an additional (FREE) advertising option for chamber members. Whether your business already utilizes radio advertising or not, take advantage of this benefit, to showcase your pride in your local business. How many times does my business name get mentioned over the weekend? We want each business to get as many mentions as possible during Small Business Weekends. Ads begin airing on Thursdays and end on Sundays – each day every advertiser should expect to be heard about 5 times. (Business Name, Tagline/specific offer) about :05 seconds per/play. 5 times per/day allows for Morning, Midday, Afternoon, Evening, Overnight, audience reach. What’s a good tagline for my business, or how do I create one? Many businesses have a tagline and that’s great! I suggest incorporating your business name, tagline and some kind of offer for your Small Business Weekend ad. If you don’t have a tagline here are some tips for creating one. 1.) Keep it simple and easy to understand. 2.) Make it catchy, have fun with it! 3.) Read it out loud, to yourself, to your spouse, to your trusted adviser, and get their opinion. 4.) Use it consistently, and on everything you do! We hope this little article will benefit all our members and give you some ideas why you should participate, all we need is your tagline and we can help with that as well. Please contact us by email or phone, don’t wait until August. Last year we had about 35% of our members participate, our goal it to get all of you onboard.